According to a study by Kenneth Gillingham, a professor of economics at Yale University, one of the best predictors of whether people will install solar panels on their house isn’t their age, their race, their level of income, or their political affiliation. It’s whether their neighbors did it first. 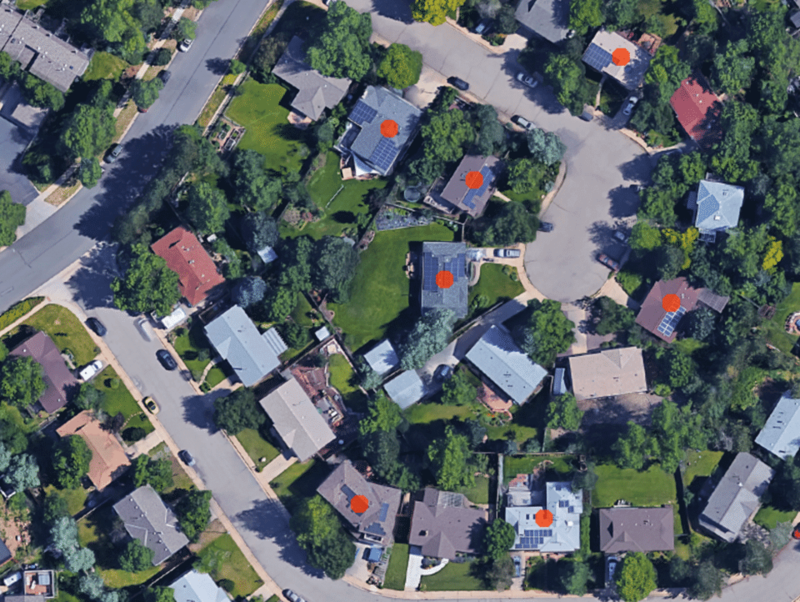 While the reasons probably boil down to awareness rather than simply imitating fellow neighbors, Google is putting those findings to good use with a new feature in its Project Sunroof website that lets you check if your neighbors have installed solar panels on their rooftops. Now, Project Sunroof can also tell which of your neighbors have already taken the plunge. The information is represented by a red dot on top of homes upon zooming in on a neighborhood, and the tagging is done automatically via machine learning algorithms trained to recognize solar panels from satellite images. For now, Project Sunroof provides data for 60 million homes across the United States that it has already assessed with its algorithms, but Google wants to add 40 million buildings in the next few years.